Gold, leather and premium black paper, all you need to create a feel of the premium brand. 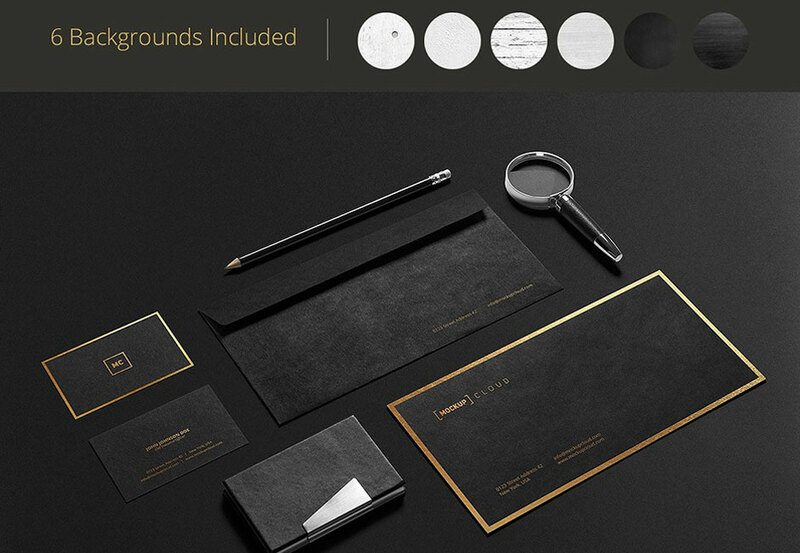 This Premium Stationery Mockup package includes easy to work with files that allow you to customize stationery mockups to suit your brand. Simply place your designs using smart objects, double-click the Smart Layer, copy and paste your artwork, save and you’re done. The set also includes 6 high-resolution background textures. Moreover, you have an option to apply gold or silver foil or just leave it as you like. File size is approx 1.58GB unzipped, offered as a 2 part download.